George A. Romero’s Suckfest…of the Dead | Critical End! "Oh boy! An email from Logan! Let me just read this and- WHHAAA?!" 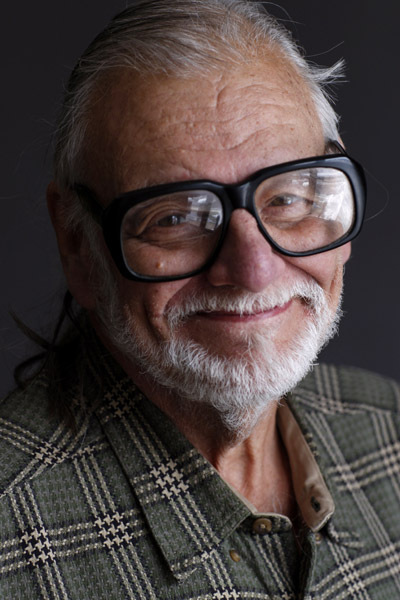 Are you reading this, Mr. Romero? Because you should be. For what it’s worth, your pals here at Critical End! were calling you a hack way back when it was considered blasphemy to do so. However, with the release of Land of the Dead, then Diary of the Dead, it seems that most horror fans have come around to our way of thinking. Yet you refuse to stop. Two weeks ago saw the release of Survival of the Dead. Survival of the freakin’ dead. Why? Because if I’m to believe what you and others claim, you pretty much invented the modern zombie film. That doesn’t mean you were ever the best at it. Hell, did you see the first iPod? That thing was bulky, only came in white, and didn’t even have a color screen! Whatever the case may be, you’re really giving M. Night Shyamalan and Kevin Smith a run for the “Hack of the Decade” award. …or something with Chevy Chase in it. That would be good too. This entry was posted on Tuesday, June 8th, 2010 at 3:35 amand is filed under . You can follow any responses to this entry through the RSS 2.0 feed. Both comments and pings are currently closed.